SVG Sketch file – (single line path SVG file specifically designed for use with cutting machines with a pen attachment.) While the sketch design will NOT work for cutting, a Cuttable offset is also included to cut out the design after it has been sketched. 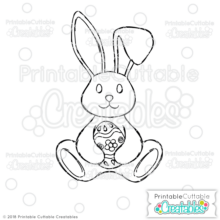 Great for digital stamps, printable coloring pages, & so much more! Fly free with this Feathers Circle Monogram Frame SVG Sketch File! 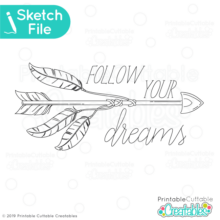 Single line SVG designs are ideal for your the pen tool on your Silhouette or Cricut cutting machine! This Feathers Circle Monogram Frame SVG Sketch File design features 5 feathers that flow end to end, forming a circle monogram frame. The feathers circle frame is ready for personalizing with monograms, sentiments and more! 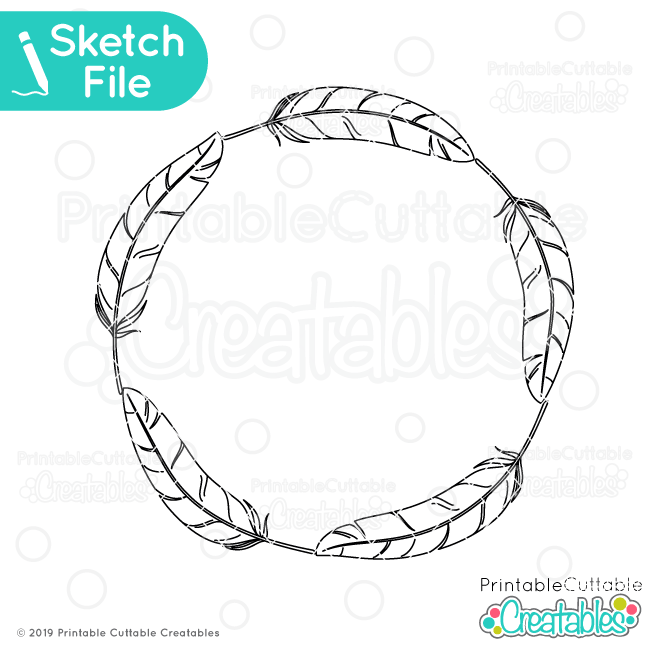 This Feathers Circle Monogram Frame SVG Sketch File also includes a cuttable offset so you can sketch then cut the design using your Silhouette Cameo, Cricut, Brother Scan N Cut, KNK Zing or other cutting machine that can draw with a pen tool! Single Line SVG designs are also perfect for use with the Foil Quill, etching tools, embossing tips on your cutting machine! 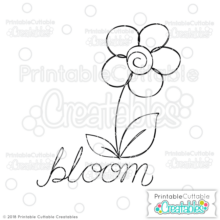 Also included are high resolution 300dpi PNG Feathers Circle Monogram Frame clipart files with transparent backgrounds, great for digital stamps and coloring images! Make tags, labels, and other printable projects! The Feathers Circle Monogram Frame SVG Sketch File also makes a great vector design element for web and graphic design projects and are compatible with Adobe Illustrator, CorelDraw, Affinity Designer, Inkscape, and other vector programs that open SVG files. I’m proud to offer Hassle-Free Replacement & Full Support on all orders! While I highly recommend backing up your purchases, if your hard drive crashes, files get corrupted or you ever need to re-download your items for any reason after the initial download term has expired, just contact me with your Order # and I’ll be glad to re-activate your link so you can re-download your products without having to repurchase! I also provide Full Support for all orders, Free or Paid, so if you have ANY questions about my files or how to use them, don’t hesitate to contact me and I’ll be happy to help you through it!